Martin Buber (1878 to 1965) was a famous philosopher who pioneered the I-Thou and I-It concept, used commonly and widely in the world today. He introduced the idea that interpersonal skills and communication are the two most important things that link human beings and relate them to each other. He published more than 800 articles and books based on this concept highlighting the fact that getting to know a human being is the most important skill. 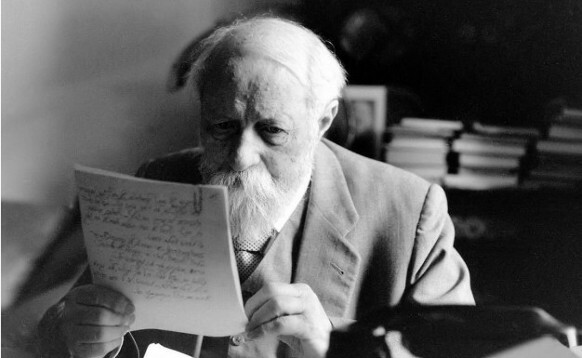 Martin Buber was born in 1878 in Vienna Austria, to Carl Buber and Elise Née Wurgast. His parents got separated in 1882; Buber was four at the time. For the next ten years of his life he lived in Lemberg and was brought up by his grandparents, Soloman Buber and Adele Buber. His grandfather was an influential scholar who published few of the earliest editions of the modern rabbinic literature. In his childhood years Buber was home-schooled by his grandmother. After that between 1896 and 1899 he attended various universities including University of Leipzig (1897-1898), Berlin (1898-1899) and Zurich (1899). His subjects of interest were mainly literature, philosophy, poetry and history of art. During his years in Vienna he was greatly influenced by the works of Nietzsche, specially his doctrine of “recurrence of the same”, this influence is quite evident in most of Buber’s later works. Buber was also an active supporter of the German War effort. In 1900, Buber met Paula Winkler and moved to Berlin. This was also the time when his interest in Judaism increased and he started working for the Jewish cause, which included revitalization of the Jewish community. This included cultural, spiritual and religious revival of the Jews. In 1916, Martin Buber and his wife moved to Heppenheim, a small city near Frankfurt , where he had earlier been employed as an editor. During his years in Frankfurt, Buber met Franz Rosenzweig who offered him a job as a lecturer in the Centre for Jewish Adult Learning (Freies jüdisches Lehrhaus). After that Buber was also persuaded to take up a job in the University of Frankfurt where he served as lecturer in Jewish religious studies and ethics. In 1937, Buber moved to Jerusalem spending most of his time teaching social philosophy. Buber’s early philosophical efforts were focused on Kant’s prolegomena of the phenomenon and noumenon which was a correlation between the things that are ‘perceived’ by us and how they are different from the things that ‘actually exist’ in time and space. In this he infused his own idea which concluded that noumenon is always preceded by phenomenon. Another famous philosopher who seemed to have influenced Buber’s ideas was Nietzsche and his ideas on the primacy of life and human superiority. Buber was also a strong enthusiast of social philosophy and he edited a forty volume series on “society” (Die Gesellschaft) for the Frankfurt Publishing House. His most famous and perhaps the most important work was I-Thou and I-It concept which focused on the duality of relations. He wrote a book on this concept in 1923 and intended to expand it into a five volume series, which he later abandoned. He also incorporated this idea into religion by explaining how people can have I-thou moments with God and nature and art and music can be forms of achieving those moments. Buber hence developed a new approach to the study of religion rather than enhancing the philosophy of religion. In June 1965, Buber died in his residential quarter in Talbieh, Jerusalem. His health had been deteriorating after he underwent a surgery for broken leg. He had been confined to bed for almost a year after which he died at the age of 87.